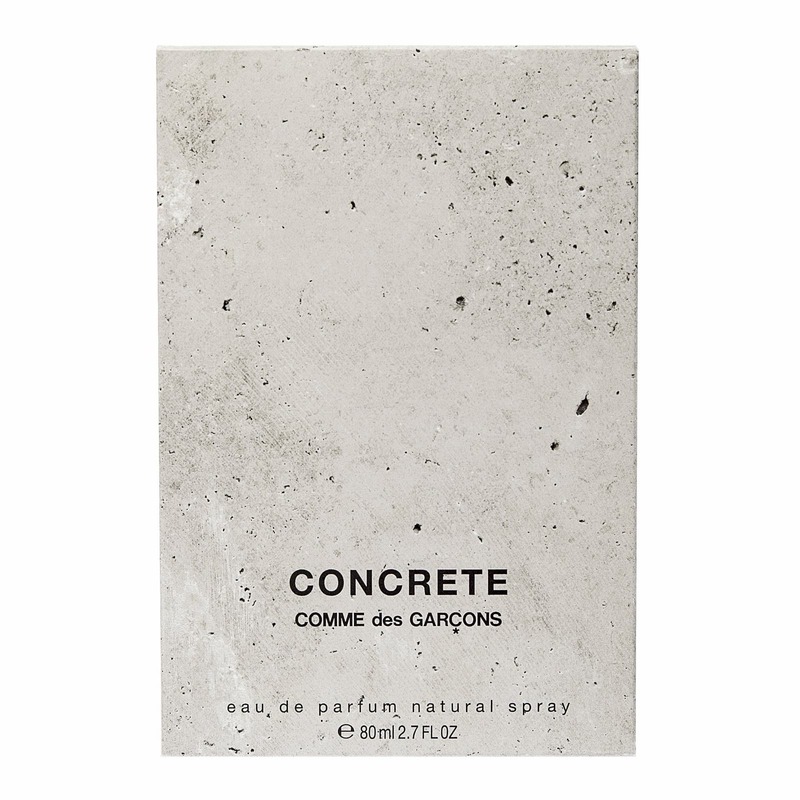 HomeBlogHome DecorComme des Garçons Concrete Fragrance. Japanese designer Rei Kawakubo is widely considered “an architect of clothes” so it comes as no surprise that her fashion-forward brand Comme des Garçons celebrates concrete with its latest perfume. 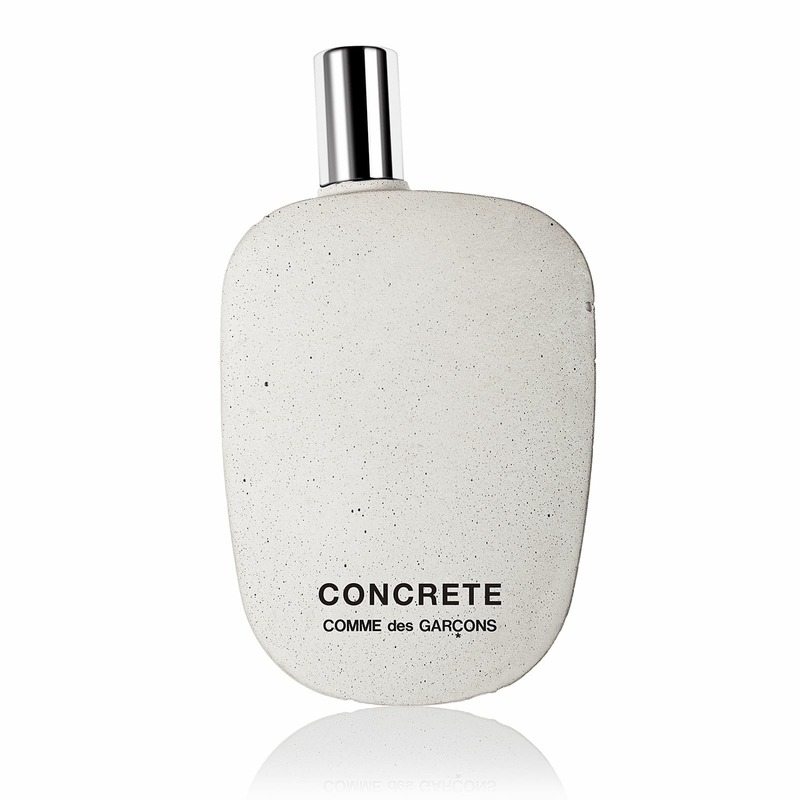 Comme des Garçon’s Concrete eau de toilette was created as a homage to the material’s extensive presence in dense cities. “In a world where concrete is ubiquitous, the mundane fabric of urban cityscapes, now it is given disparate context: the uniquely refined realm of perfumery.” said the brand. Comme des Garçons are widely recognized as innovators when it comes to experimental fashion. They have created a number of unique fragrances over the years that are niche, daring and different. They are a brand that does not lend itself to trends or passing marketing trends, they simply make beautiful and intriguing things with their own distinctive styling. 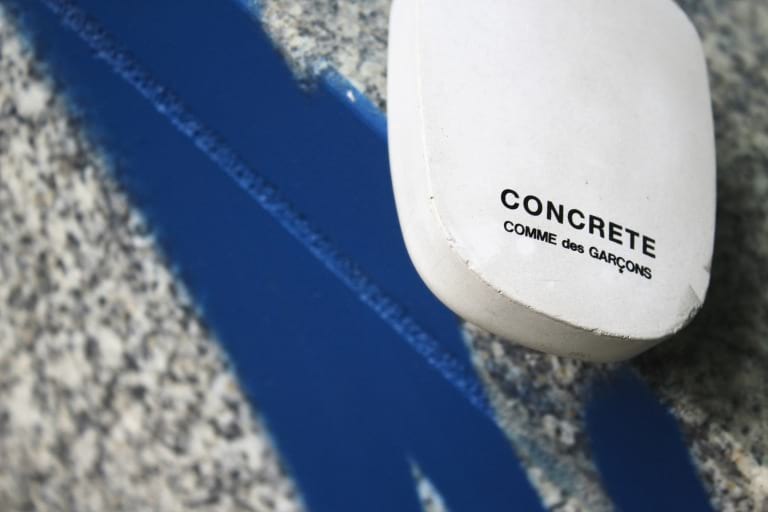 Comme des Garçons Concrete is most definitely the embodiment of that bold design approach. The perfume comes in a bottle that forms curved edges and surfaces topped with an off-centre metal cap. 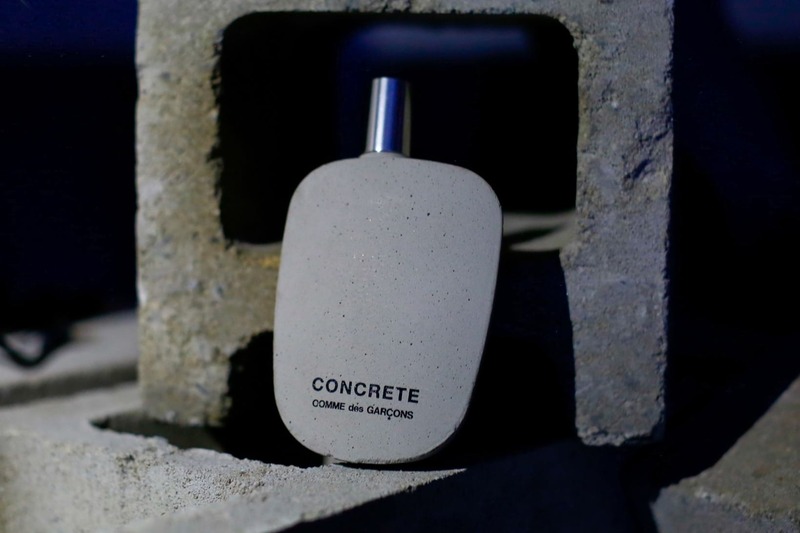 It is the recognizable and iconic bottle shape Comme des Garçons uses for many of its scents, but this time it is actually coated in concrete! This gives a satisfying heft to the signature pebble-shaped bottle design but also a surprising softness that is tactile and pleasant. The awesome bottle comes packaged in a simple and elegant box also patterned to mimic the color and texture of concrete. The final detail is that the bottle comes covered in bubble-wrap to protect it, hinting at the fact that there may just be a hidden fragility to this usually hard and robust material. With Concrete Comme des Garçons are exploring “destruction, construction and creation” by drawing inspiration from one of the most ubiquitous materials on earth: concrete. 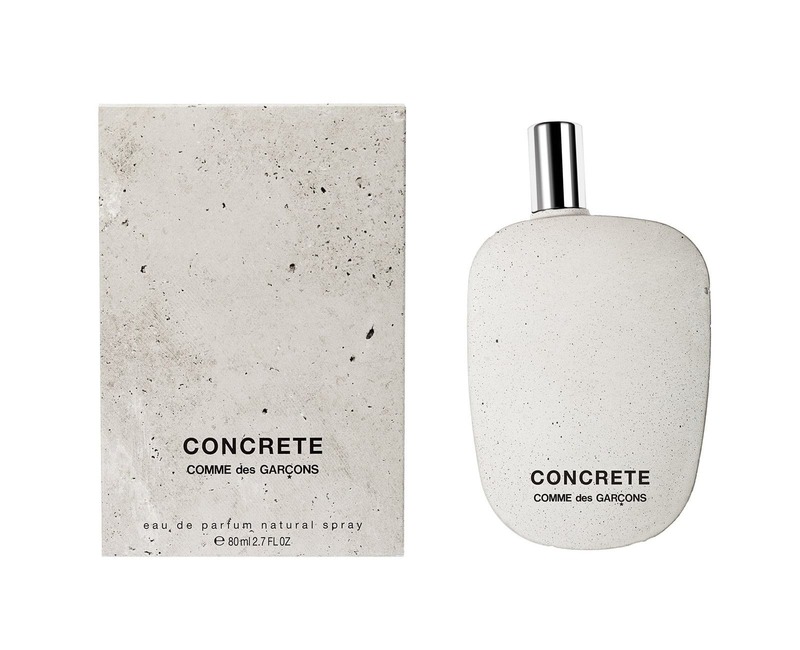 Named after the material, Concrete as a fragrance aims to bring new contrasts to the idea of a material that is known for its solid composition, demolishing all preconceptions. But that content of the bottle is an entirely different story. If you are expecting something rocky, hard and brutalist in this fragrance, you will be surprised. The fragrance (thankfully) smells more like sandalwood than concrete. It also includes notes of rose and spices, intended to provide a surprisingly soft contrast to the hard bottle. 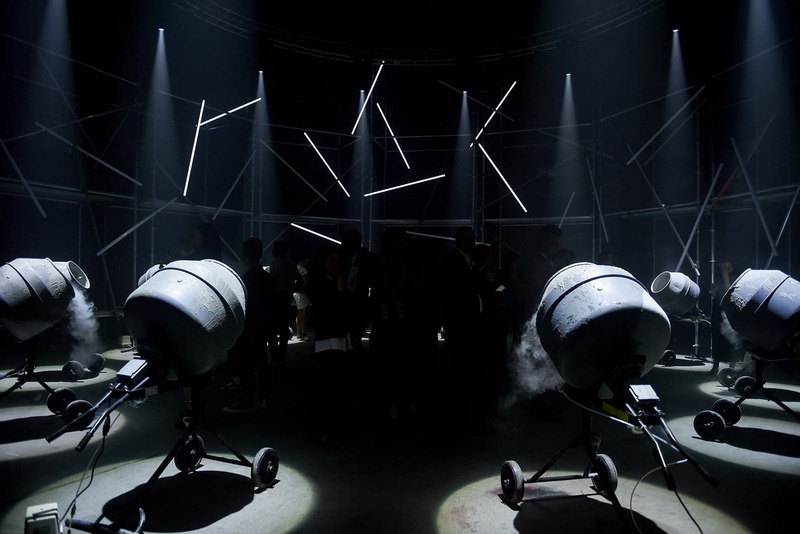 The launch of Comme des Garçons Concrete earlier this month was marked by a series of events in New York, one of which featured cement mixers that churned out dry ice. 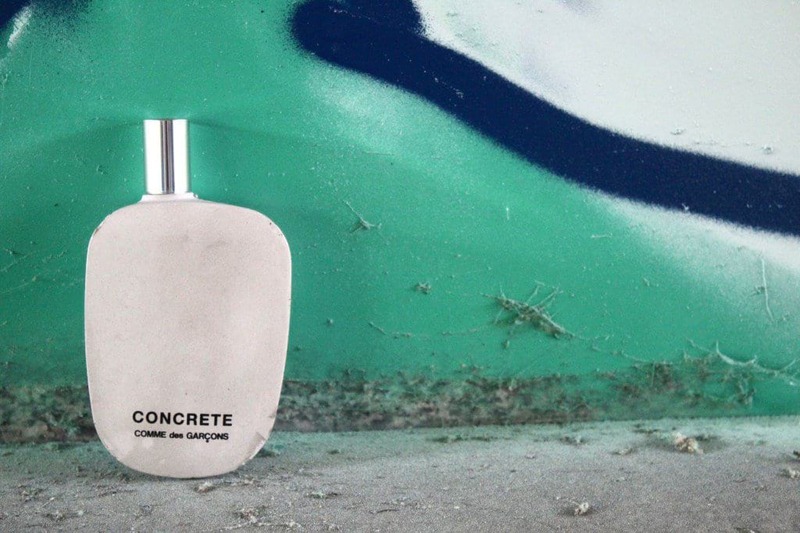 Concrete will officially join Comme des Garçons’ extensive range of scents through selected retailers in September 2017.